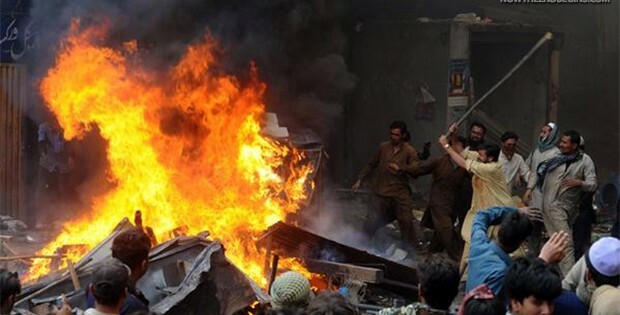 While the Christian couple was being burnt, the Muslims were chanting slogans of Allahu Akbar (Allah is great). They remained there until the couple was completely burnt. “The number of persecuted Christians in the world is 150 million.” There are many other figures, terrifying and dramatic, in the pages of the “Black book of the plight of Christians in the world”, a unique initiative of French scholars and coordinated by journalist Samuel Lieven. Snapshots of a global and amorphous war. In particular, there is a disconcerting statistic: “80 percent of the acts of religious persecution in the world are directed against Christians.” How many victims? The Center for the Study of Global Christianity brings the average of one hundred thousand Christians killed each year for their faith throughout the last decade. An average of five Christians every minute.